Fancy doing something a bit different in London this Christmas? How about a gorgeous winter trail inspired by Kew Gardens. 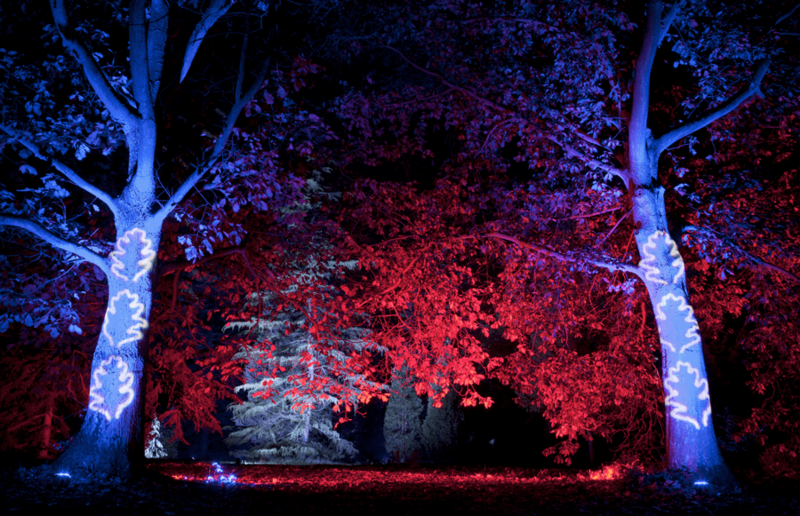 Follow along the path as the trees, temples and glasshouses of Kew are playfully lit and all aglow, with a mulled wine in hand! Back for 2016, you’ll enter between two giant Christmas trees and wander beneath unique tree canopies drenched in seasonal colours. It’s a totally romantic experience, and a great way to see the delights of Kew after dark! 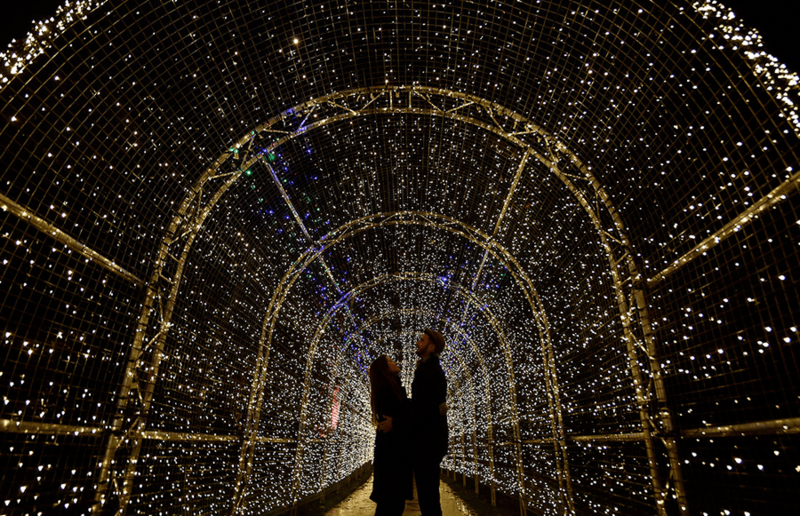 The Tunnel of Lights are animated by over 60,000 lights making patterns and pictures to a festive soundtrack this year, and it makes a great first or second date spot. If that wasn’t enough you can also stop for a Kew karaoke at the Christmas Juke Box before strolling the fairy-tale avenue of flora dotted across the Crystal Lawn. This year, framed by sparkling hedges, the Palm House Pond springs to life with brightly coloured laser beams, fans of light and flickering orbs that dance in time to music inspired by much-loved Christmas classics. From Wednesday 23 November, Kew Gardens will be open past dark with plenty of other festive treats to keep you going – from vintage rides to Christmas gifts, food and drinks. Book in advance and tickets are £16 for adults and £10 for children.